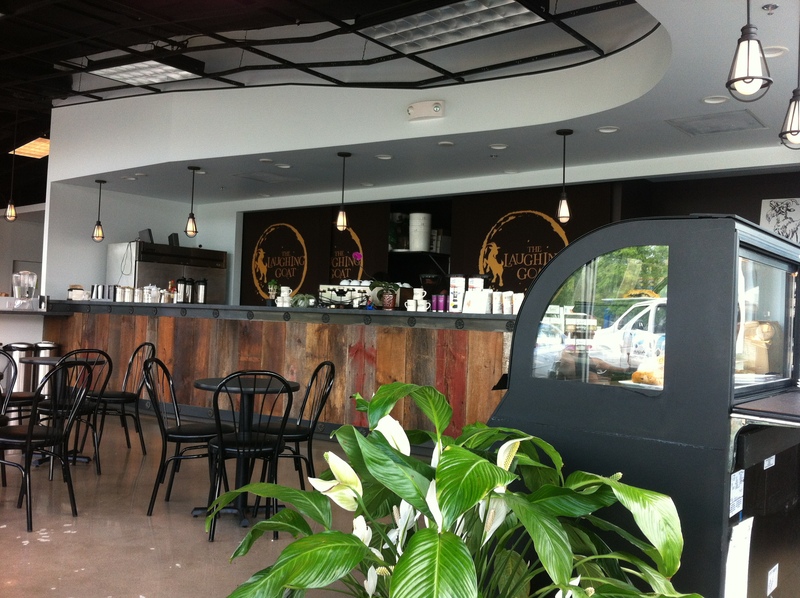 Boulder’s much-beloved coffee house, the Laughing Goat, recently opened a new location. Perched amidst the warehouse start-ups and commuter traffic of east Boulder, Baby Goat, as the new location has been affectionately nicknamed, shares a space with the Green Garage on 55th and Pearl. The new cafe is smaller and more intimate than the original location on Pearl and 17th and is aiming towards being a hub for tech start-ups, work meetings and bike commuters. The off-the-beaten path location makes the cafe a veritable office-away-from-the-office and will soon be hosting meet-up and other groups for which a strong wifi signal and an endless flow of caffeine is absolutely necessary. On Saturday July 13th, the new location will be hosting their opening party from 7am to 8pm. There will be live music all day from local artists, free yoga classes and a bouncy castle which I happen to know from personal experience, pairs very nicely with a double shot of espresso! The day will also be marked by two Tour de Goat open bicycle rides leaving from the Laughing Goat’s Pearl St Mall location and ending at the new location just in time for Marimba music! Don’t forget about Laughing Goat’s new location next time you want to bow out of the Pearl street hubbub and late-night poetry readings and stare at your computer screen in the peace and quiet of an outskirts cafe! 1:00-3:00: Soul with Colin Robinson and Dechen Hawk. That is great news, thanks for the info. One question: any video footage of your bouncy castle and espresso spree?